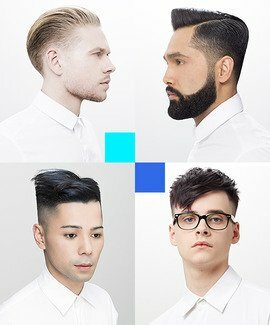 Learn barbering techniques and skills with team members of the New York Barbershop. New York Barbershop is a traditional men's only barbershop situated at Hotel New York, Rotterdam in The Netherlands. Established in 1884, New York Barbershop is still a family business with a team of very experienced barbers offer the best service you can get. Besides a perfect haircut, clients can also have a luxury straight razor wet shave or a classic beard and moustache treatment. The members of the New York Barbershop team for our exclusive videos include Ivan Rodrigeuz, Erika Vera and at 18 our youngest ever contributor, Jason Verhaeghe.